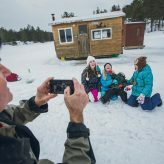 Owners and operators of Marten River Lodge, Ray Sapiano and his wife Donna are carrying on a legacy this famous lodge started nearly a century ago. 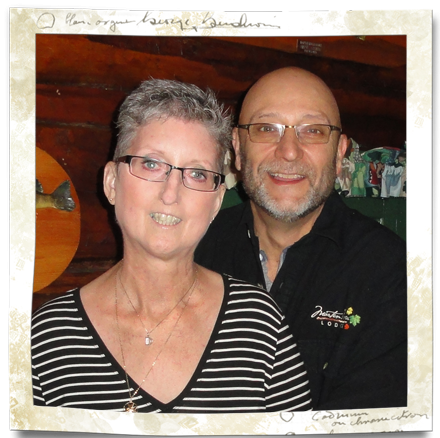 After “getting out of Dodge” as Ray puts it and leaving their urban home of Kanata, he and Donna embarked on a journey of a lifetime in 2012. “Owning a hunting and fishing lodge was a real eye-opener,” said the former marketing and advertising executive. 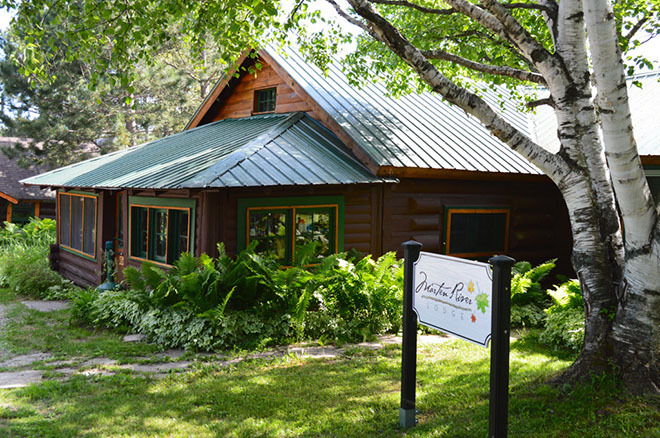 Ray and Donna purchased Marten River Lodge as a way of distancing themselves from city life and making a new start in the wonderful wilderness setting of Northeastern Ontario. The Sapianos had always been avid anglers. Combined with decades of experience in the corporate world, catering to fishing clientele proved to be a short leap. “Hunting however, was an altogether different story,” Ray declared. Immediately upon taking over Marten River Lodge from the previous owner, he was led to one of the lodge’s many bear baits with a GPS Unit in hand and told the remaining bait sites were ‘in the GPS’. Ray was on his own, and after eventually locating all 15 bear bait-sites, was forced to scramble quickly. He learned how to hunt these elusive predators with a dozen bear hunters set to arrive in little over a month. With the help of his wife and business partner, Ray pulled it off in spades and the lodge has hosted thousands of clients since. Marten River Lodge boasts a long and storied past, dating back to 1925 when a depot was constructed on-site as a ‘halfway station’ linking North Bay to the rich mining fields further north. The lodge’s current cabin #6 and dining room were built as an office and sleeping quarters for personnel of the Department of Northern Development, which used the lodge as a base camp to oversee road construction. What can clients to Marten River Lodge expect today with the Sapianos at the helm? Ray explained that they receive a variety of visitors from hunters to eco-tourists, yet fishermen account for easily 90% of 600+ guests who walk through the doors each year. Guests can expect comfortable, fully-equipped and extremely sea-worthy Starcraft fishing boats for anglers. I own one of these boats and trust me, they’re made for big water. Each one comes equipped with a 30 HP outboard motor, and features a 7 ft raised casting platform with a live well. Fishing bait, fuel, fish finders, landing nets, life jackets, and safety kits are included with every boat. The Marten River area offers a little something for every angler in the way of variety. 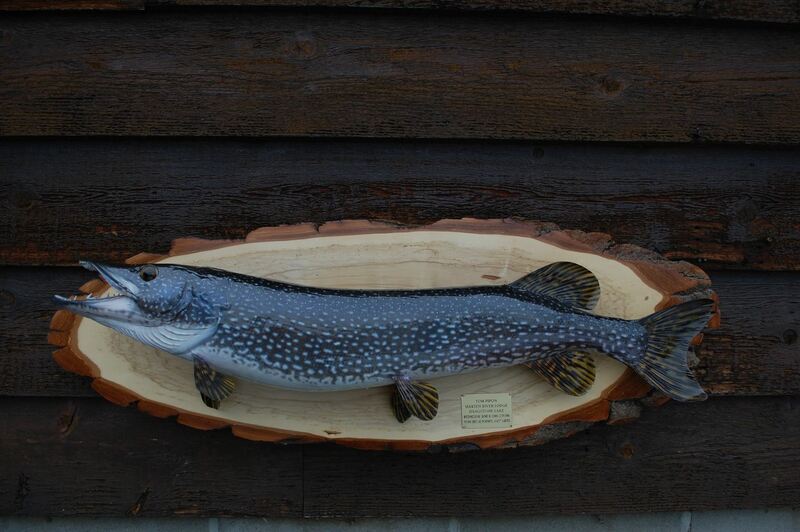 Fish species found on the Marten River Lodge territory include lake trout, northern pike, walleye, and smallmouth bass. 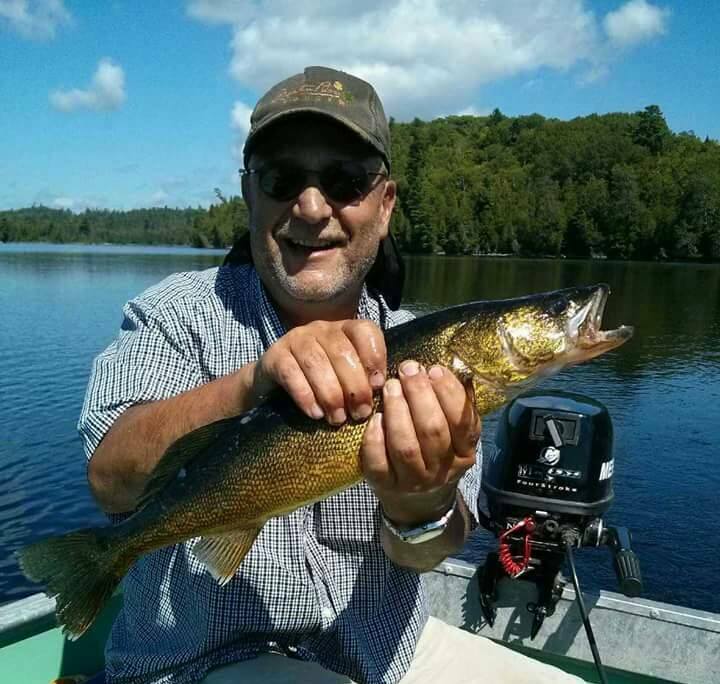 Walleye, however, are most sought-after species and with live bait or worms included anglers will find the fishing exciting and rewarding. 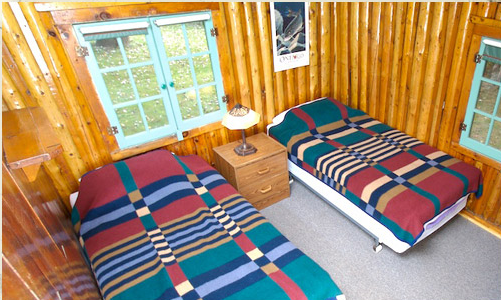 Marten River Lodge is located in Zone 11. 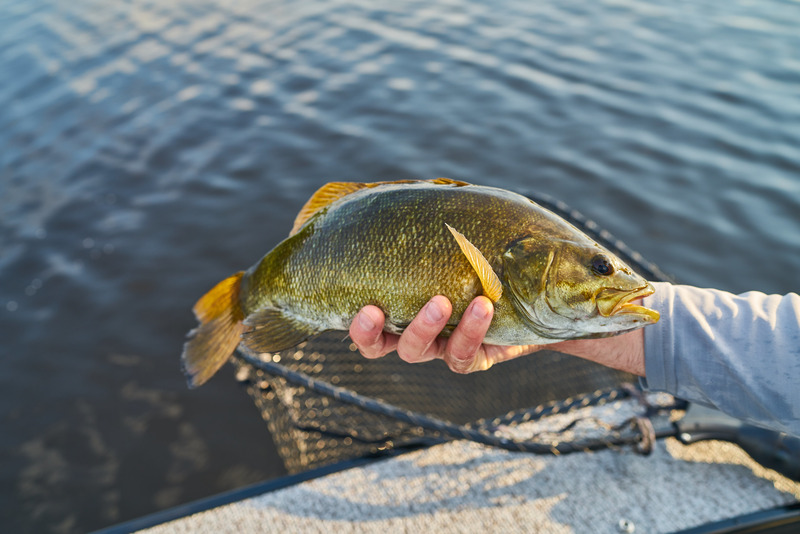 Visit the Government of Ontario Fishing page for more information on fishing licenses, open seasons, zone regulations, and catch limits. 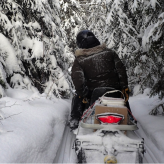 As the lodge’s top guide, Sam Rose of Gananoque has had a busy and productive year at Marten River, having catered to the majority of the lodge’s 450+ guided trips in 2016. Besides guiding clients to remote fishing lakes on the property, Sam also made short work of over 250 shore lunches last year! Marten River Lodge is one well-equipped destination indeed, with fully-equipped cottages to bunk in that can accommodate up to eight people each. 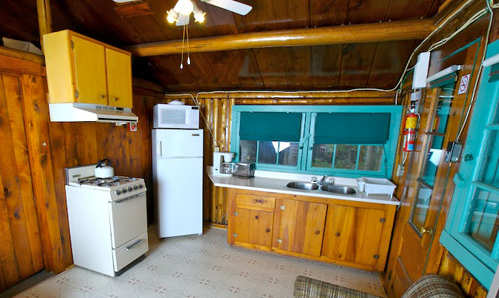 Each cabin comes with either three- or four-piece bathrooms, a charcoal grill, microwave, coffee maker, stove, refrigerator, a screened-in porch, bedding & linens, towels, and soaps. Also included are pots, pans, dishes, glasses, cups, cutlery, utensils, and propane heat, as well as an outdoor fire place and complimentary firewood. Although they have numerous packages to choose from, guests will want to at least consider the all-inclusive American Plan option that Marten River Lodge offers. 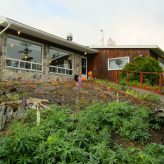 This lodge utilizes the services of a chef, who Ray tells me is not only top-notch, but thrives on filling up hungry guests after a long day of fishing. With a high standard of use quality ingredients, freshly made salads and breads, savoury meats and fresh vegetables, meals at Marten River Lodge will have you coming back for more. Feel like being pampered? Try out the lodge’s dining options. So whether you’re an avid hunter, angler, or a traveller in search of a new wildness destination, keep Marten River Lodge in mind. Ray and Donna Sapiano will do their utmost to see that you enjoy your adventure of a lifetime, whilst keeping a century of the wilderness lodge’s heritage alive in the process. Please e-mail us at info@northeasternontario.com, join the conversation on social media using #NeOntario, or visit our Contact Us page.